Mr. Donald Keith Duncan born September 28, 1938 went home on Thursday, April 4, 2019. Donald was an Elder of Hopewell Cumberland Presbyterian Church in Lola, KY. He loved the Lord, his church, singing gospel music and picking his guitar. He was a loving father, husband, pal and papaw. 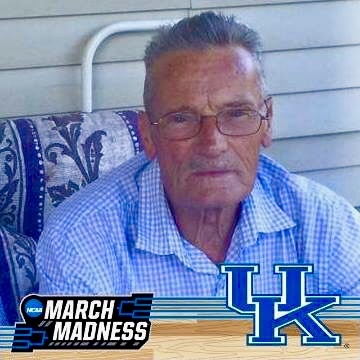 He was a local contractor and an avid Kentucky Wildcat fan. He is survived by his loving wife of 50 years, Agnes “Aggie” Duncan; two sons, Junior (Debbie) Duncan of Marion, KY and Kevin Duncan; three grandchildren, Nic (Lacie) Duncan of Marion, KY, Jordan (Lacey) Duncan of Calvert City, KY and Jesika Duncan of Marion, KY; two great grandchildren, Jayden and Colton Duncan of Marion, KY and one on the way, Emersyn Duncan; a special family friend Mary Jane Cosby; and one sister, Mary Cloyd of Princeton, KY. He was preceded in death by his brothers, Bill, Freeman, Glenn “Punk”, Charlie Ray, J. C., and Bob Duncan; sisters, Jeneva Eldridge, Eula Mae Guess and Lucille Traywich; and parents, Charles and Alma Guess Duncan. Funeral services will be at 2:00 PM, Saturday, April 6, 2019 in the chapel of Boyd Funeral Directors and Cremation Services in Salem, KY. Burial will follow at Tyner’s Chapel Cemetery. Friends may visit with the family on Saturday, April 6, 2019 from 11:00 AM until the funeral hour in the chapel of Boyd Funeral Directors and Cremation Services.